Imagine farms in the city where people come to learn how to grow fresh food at high altitude using regenerative soil techniques, gain hands-on job training, and develop entrepreneurial skills that open avenues to self-sufficiency. Our farm-based training improves not only access to food, but develops economic opportunity and employment. 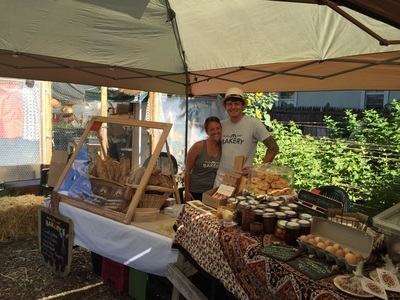 Our farms are a diverse network of local fresh food production and direct markets, an incubation program for multicultural urban farmers and value-added producers, a regional research and training center, and host to courses and workshops, as well as a series of annual urban farming events. have closed...thank you for a great run! Farm Market: Saturday mornings from 9am until noon (weather permitting). 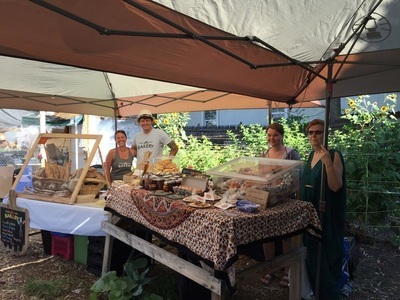 Just-harvested produce, fresh-baked bread, local canned goods, and more. 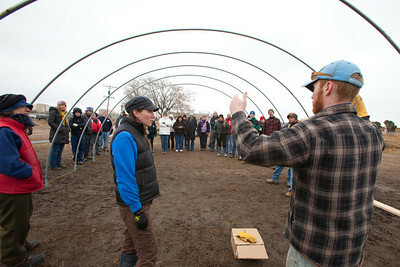 Saturday Intro to Urban Farming Class: Saturdays at 11 am. Register here as space is limited. You can eat from your garden until Thanksgiving and beyond! 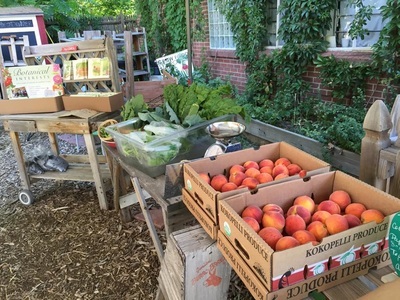 Join our Feed Denver Director Lisa Rogers as she guides you into the "Second Season" of vegetable production. Crops planted for autumn and early winter harvest often grow better and taste better. This two-hour exploration will include planting and starts calendar, seed choice, companion planting, planning for weather protection, and more. As our farm is small, class size will be limited to 10 students. Please register to secure a space. Register here as space is limited. $20 fee. It might be cold but your growing beds can work for you all winter! Simple processes with cover crops can help you improve your soil for better growing all next year. Join Feed Denver Director Lisa Rogers as she guides you in the magical ways of building soil with plants! We'll learn what crops work best in our climate and what to expect from them. 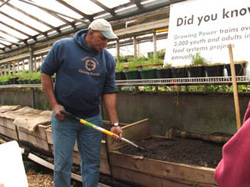 As a Regional Training Center representing Growing Power we model and teach the core techniques of the Growing Power Method: composting, vermicomposting, and year round production. We have trained at Growing Power's Milwaukee Headquarters. We are graduates of the Commercial Urban Agriculture Program. 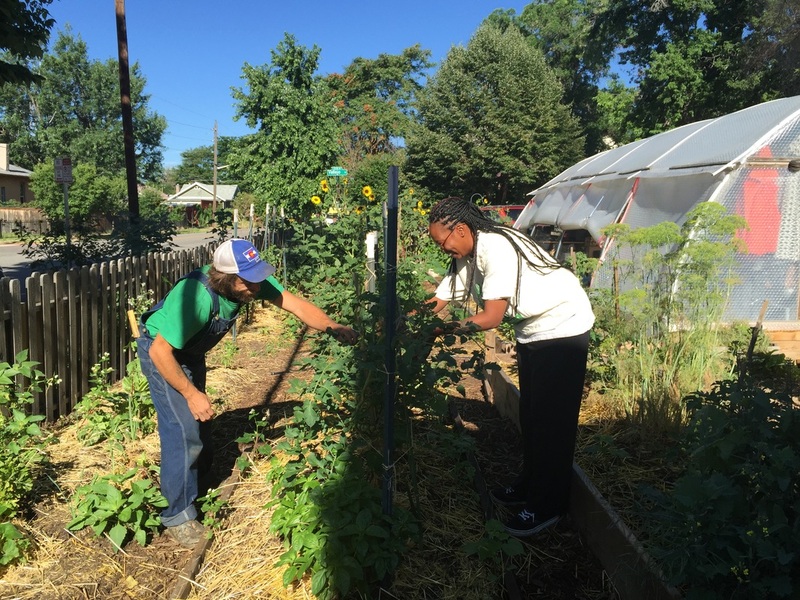 We network with other Regional Training Centers and urban farming professionals around the country and the world. We have also had the good fortune to have Will Allen out to Denver to lead a weekend workshop. It's all about the soil. 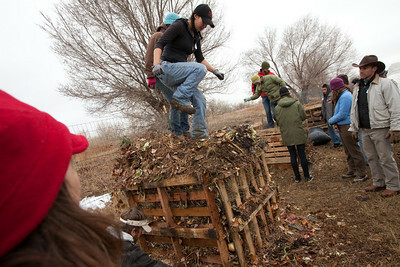 Growing Power compost techniques build nutritious soil in the city. Year round growing is essential. Hoophouses and low tunnels extend your growing potential. 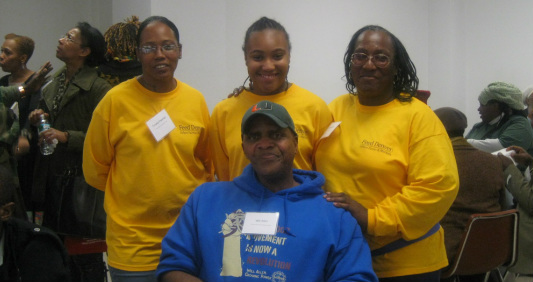 Community Steward Farmers Trineka Freeman, Kasmira Thompson, and Paula Thompson with Will Allen at the Black Urban Farmers and Gardeners Conference in Brooklyn, NY, in 2010. 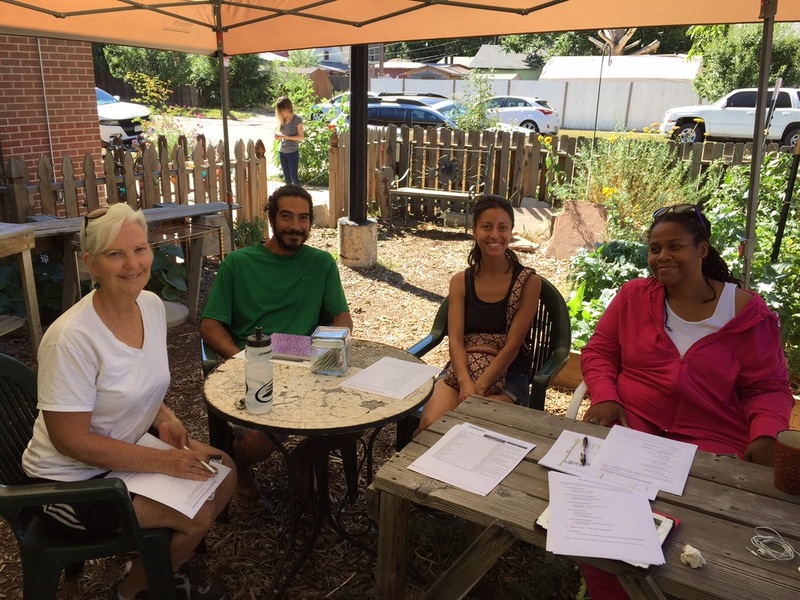 These Feed Denver urban farmers presented their experiences growing food in a parking lot farm in the Swansea Neighborhood, Denver. Vermicompost is what turns normal healthy compost into black gold...uber nutritious with fertilizing and pest mitigation properties.